Over 30 houses in some communities have been destroyed in some local government area during the pre-election related violence. The two major political parties in the state, the People’s Democratic Party PDP and the All Progressive Congress, APC, have continued to thread blames over the destruction. 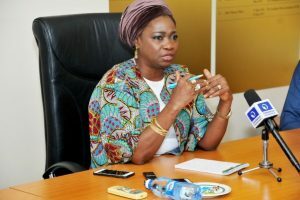 This is even as the Commissioner of Police in the state, Awosola Awotunde, on Monday in Abakaliki appealed for calm from residents of the state over the attacks allegedly carried out by suspected political thugs in some communities in the state. Awotunde who spoke to journalists after his assessment visits to areas affected by the violence vowed that police authority would ensure that perpetrators of the dastardly acts were arrested and brought to book. Condemning the attacks and destruction of over 30 houses and property worth millions of naira in communities in Izzi local government area, the police commissioner described the incident as barbaric and man’s inhumanity to man. 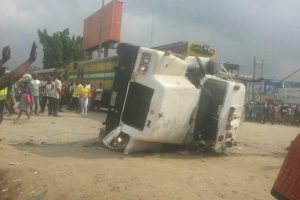 Mr Awotunde who decried the wanton carnage warned against any reprisal. He said that those involved in the criminal attacks on the communities including their sponsors would be arrested and prosecuted. 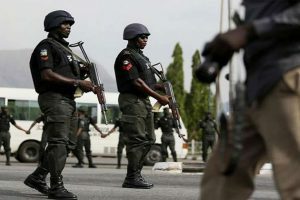 “The police further reassures the public of commitment to the protection of lives and property of every citizen of the state before, during and after the elections”, Awotunde said. Narrating his ordeal, a victim of the attack, Mr Donatus Nwofe who spoke to journalists at Aguabata in Agbaja community of Izzi said that he lost two of his buildings and property worth several million to the attackers. Nwofe, who is the Chairman of the Nigerian Union of Pensioners (NUP), Ebonyi council, said that the suspected political thugs invaded his compound and shot sporadically before setting the houses ablaze. “I lost everything; even the boxers I am wearing was donated to me by a sympathizer, as you can see, no pin was removed from the burnt down houses. “We now live in fear as no one knows when the hoodlums will attack again with their AK 47 rifles and other weapons. He said the suspected political thugs who invaded the area, first shot indiscriminately before setting houses and other valuable property ablaze in the area. 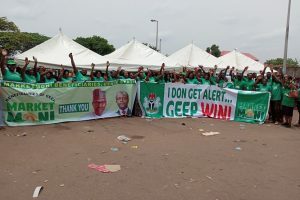 Meanwhile, the leadership of the two major political parties in the state, APC and PDP on Monday accused each other of masterminding the attacks. The APC Chairman, Eze Nwachukwu said his members bore the brunt of the attacks. He described the attacks as unprovoked war and urged the police and other security agencies to intensify security surveillance in the state. The party warned that it would no longer tolerate any attack on its members and urged police to arrest and prosecute perpetrators of the violent attacks. 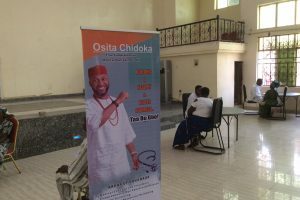 Nwachukwu chronicled the alleged gruesome attacks to include; attack on the senatorial candidate of the party in Ebonyi South Senatorial District, Mr Nweze Onu, attacks on APC members, destruction of their houses and property in Izzi local government area. Others include; attacks and disruption of APC local government rallies by suspected political thugs at Ebonyi, Onitcha, Ohaozara local government areas and destruction of APC campaign office in Ohaozara. 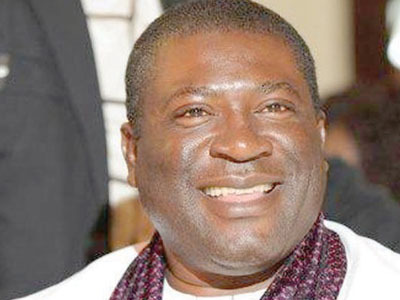 He also listed alleged attacks on the home of APC Zonal Publicity Secretary, Mr Chris Ogba at Ezzama, Ezza South on February 16 and attack on members of the party at Ekoli-Edda among others. “All these incidents have been duly reported to the Police in the state and we call on the police to ensure that perpetrators are arrested and brought to justice. 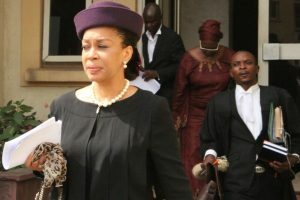 “We also call on all our members and supporters to remain resolute, refuse been intimidated as we assure victims of the party’s resolve to bring justice”, Nwachukwu said. But in a swift reaction, the State Chairman of the PDP, Onyekachi Nwebonyi denied the allegations. ” PDP has been very peaceful despite the provocations. 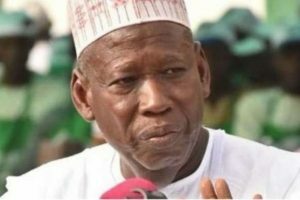 The governor, who is a man of peace, have continued to calm the party faithful down and urging them not to retaliate despite the provocations”. He decried the attacks and called on security agencies to fish out the perpetrators and bring them to book. “I want to use this medium to condemn the wanton destruction of properties and killing of innocent Nigerians all over the nation. 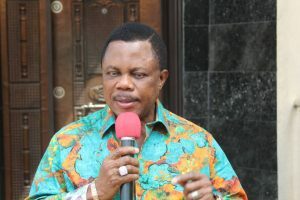 “Of my particular interest is the wanton destruction of properties and killing of innocent Ebonyians in Ebonyi state. The opposition in the state is visibly out to instigate violence in Ebonyi state so as to scare voters from coming out to vote”. “I, therefore, warn them to desist from this act which is capable of causing unrest in the state. Let me also call on the security agencies in the state to immediately wade into investigation these killings and wanton destruction of properties to ensure that these do not escalate”, he said.